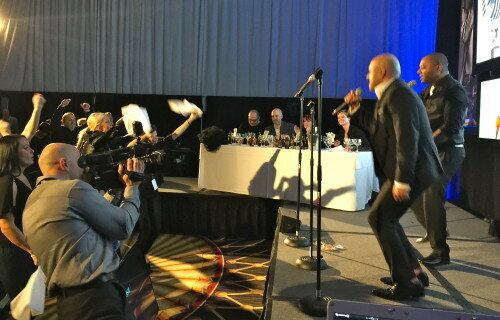 It was 4 hours of Karaoke Idol as it was meant to be last night at NY City’s The Roosevelt Hotel. 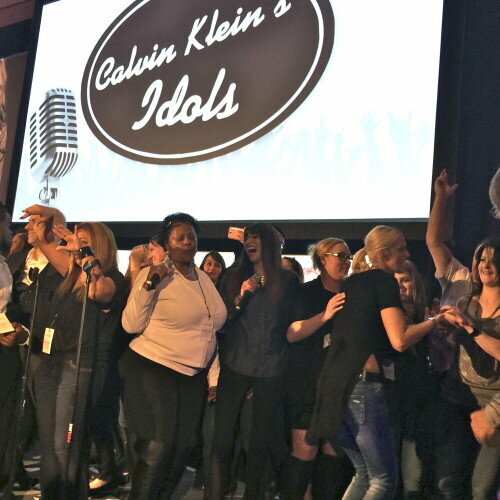 Retail executives from Around the Country and Canada for Calvin Klein had a Karaoke contest last night. After each song executives from Calvin Klein judged each act. After the contest, Karaoke was opened to anyone/group. Thank you to Charlie and everyone at CK and Expressway Music Owner/DJ Dave Swirsky for helping to make this such an amazing event and truly so much fun!